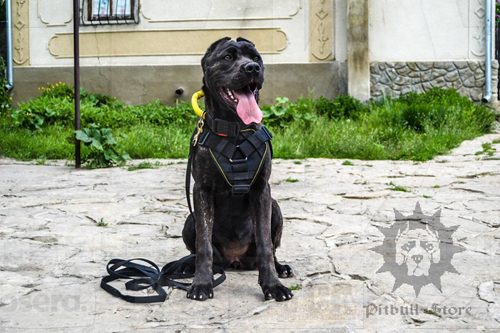 Looking for the right harness for large dog like Presa Canario or Argentinian Dog to fit for different activities and serve you as long as possible? 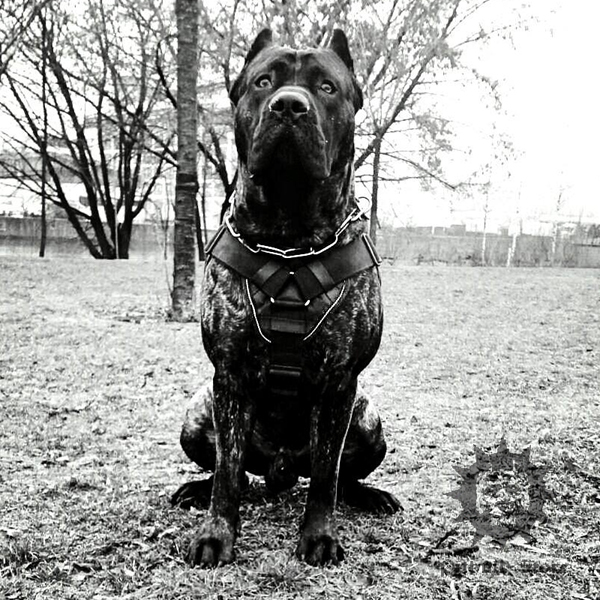 Our multi-purpose Presa Canario large dog harness is the right option for you and your pet! Our Presa Canario large dog harness can be used for different service dogs. 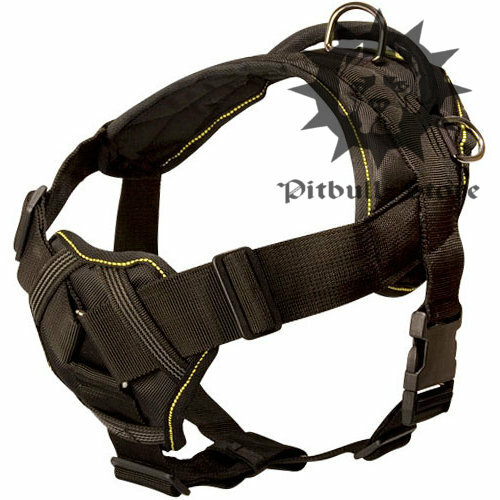 This dog weight pulling harness is really durable, because it is made of strong 2 inch nylon, has solid nickel plated D-rings and stitched handle. it is padded and very comfortable, so your Dogo Argentino will feel no discomfort while wearing the large dog harness and it will be easy to put it on and off with only buckle. 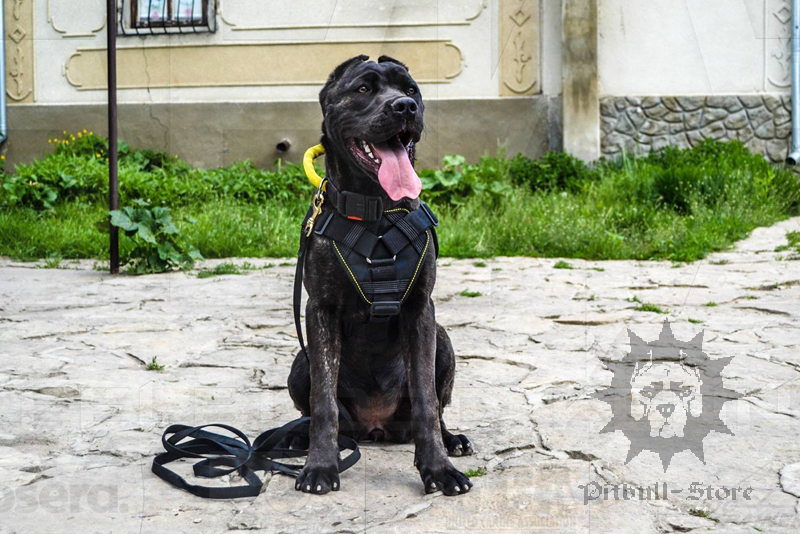 As far as the activities are concerned, our nylon large dog harness fits for safe walking and service work, tracking and training. Increased durability and top grade quality make this dog weight pulling harness unique one. Do you still hesitate to buy goods online? 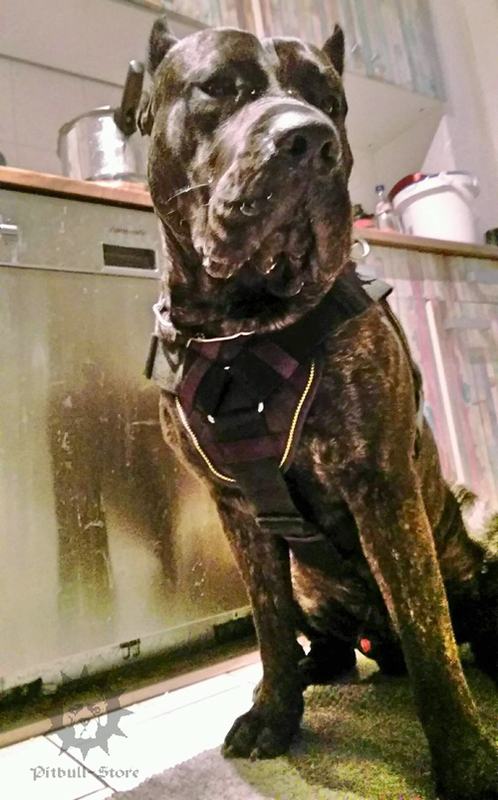 Can't get rid of fear that this large dog harness won't fit your Presa Canario? 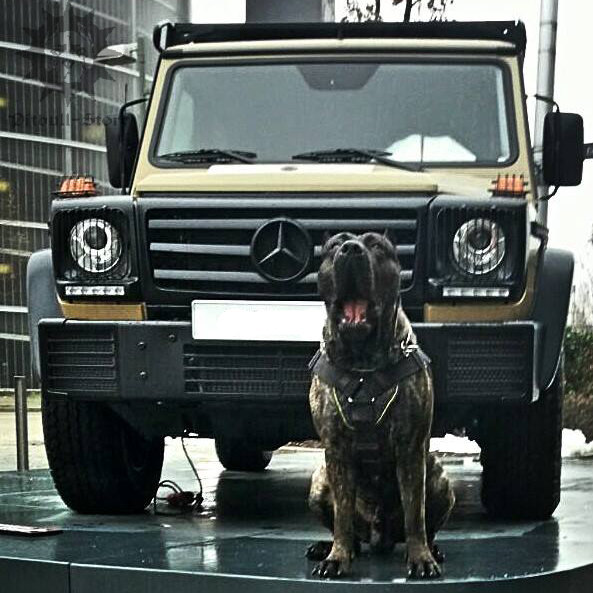 There is nothing to worry about! 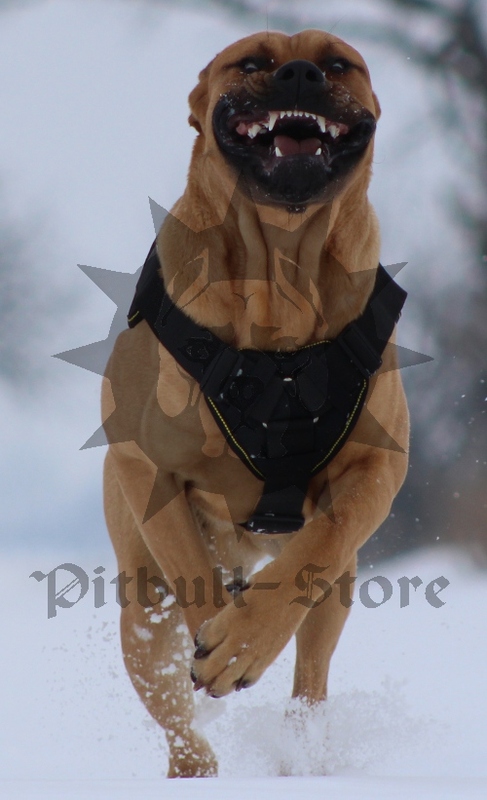 All you need to do is to measure your vigorous dog according to our scheme and choose the correct size of the nylon dog harness. 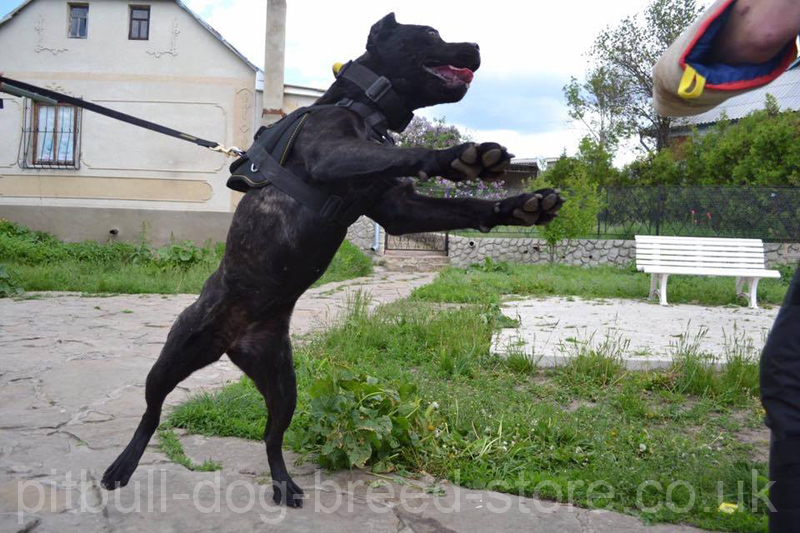 You can adjust it up to your Dogo Argentino's body structure. 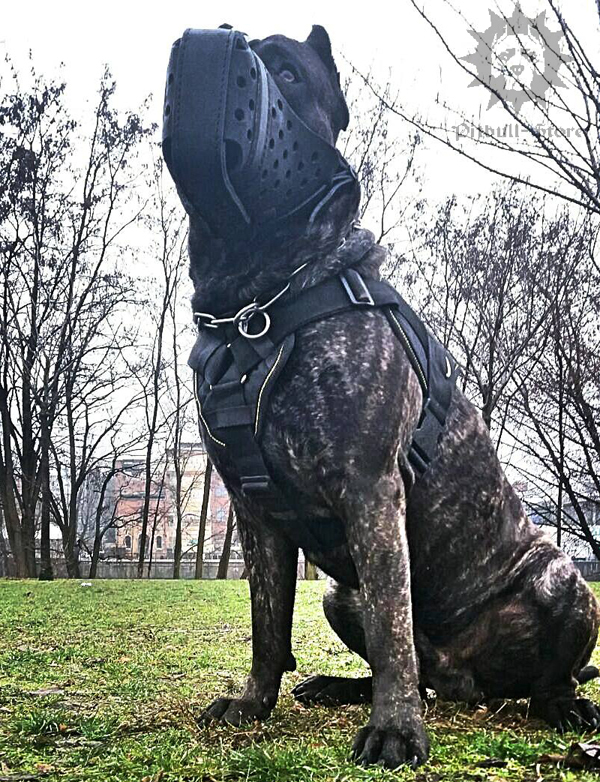 In addition, our company always accommodates the requests of our customers, so you can exchange the product if other variants offered by our Customer Support Service won't suit you. 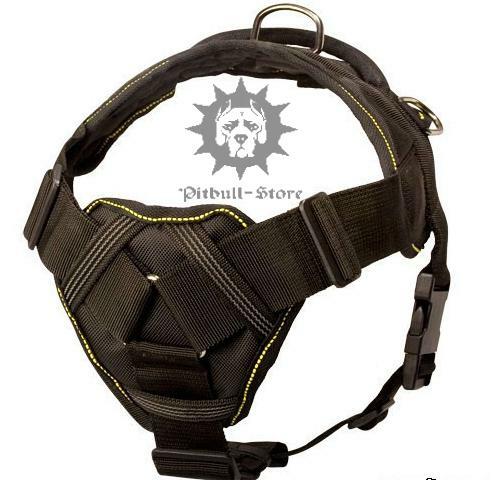 Here is our e-mail: info@pitbull-dog-breed-store.co.uk. 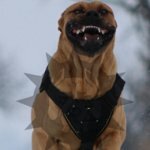 You are free to put any questions! 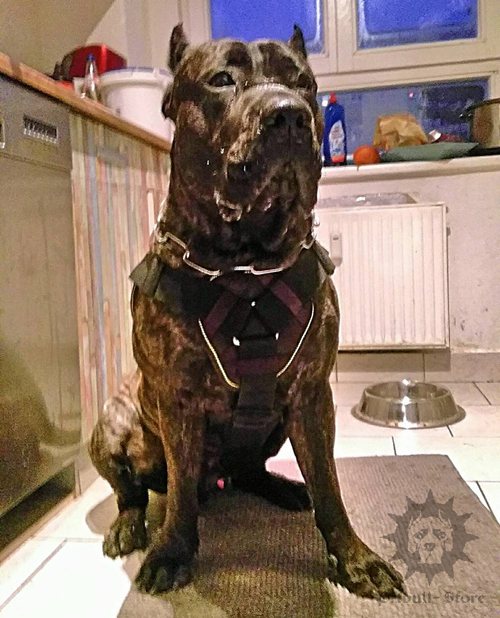 There are other Presa Canario large harnesses like leather harness for agitation UK or designer leather dog harness UK. Just look at them! 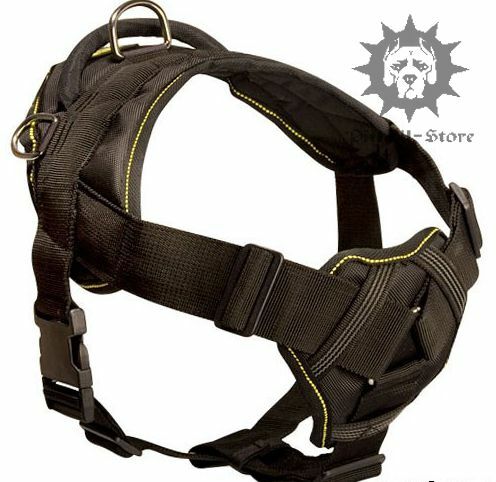 The harness I bought arrived today. 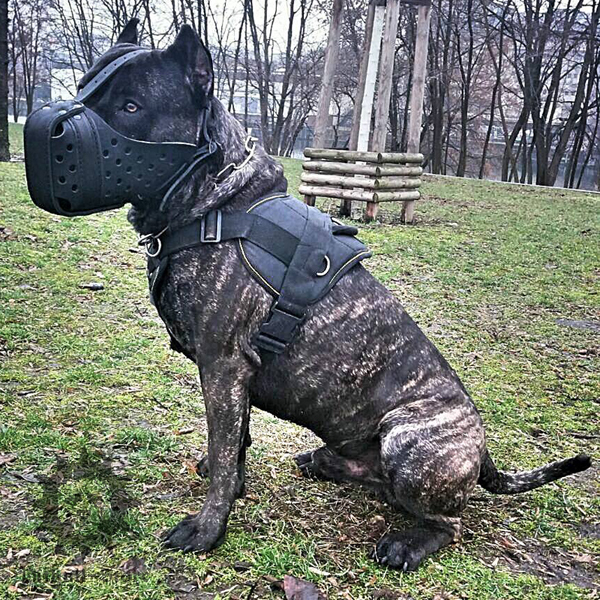 It fits ideally and with the chest plate. I hope it is as strong as the last one that I have bought for my Doberman. It was about 5 years ago and only the buckle has broken. I am so happy that it got new design now. The harness has arrived and we are very pleased with it, but it is still difficult for me to understand how it should be regulated - loose or tight.